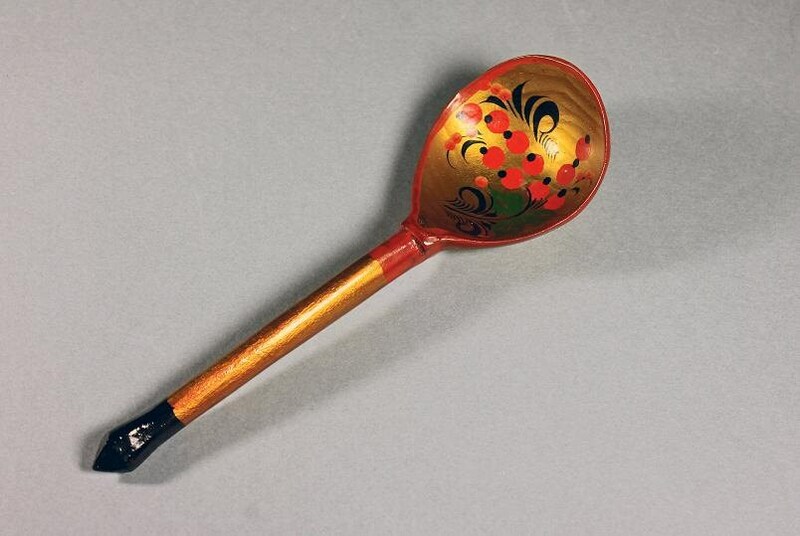 A very lovely Russian wooden spoon. 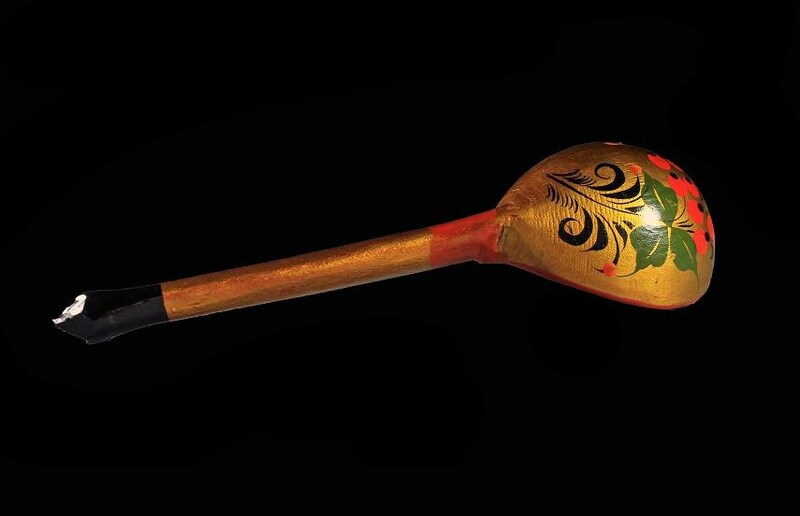 It is hand painted in traditional Khokholma lacquer. 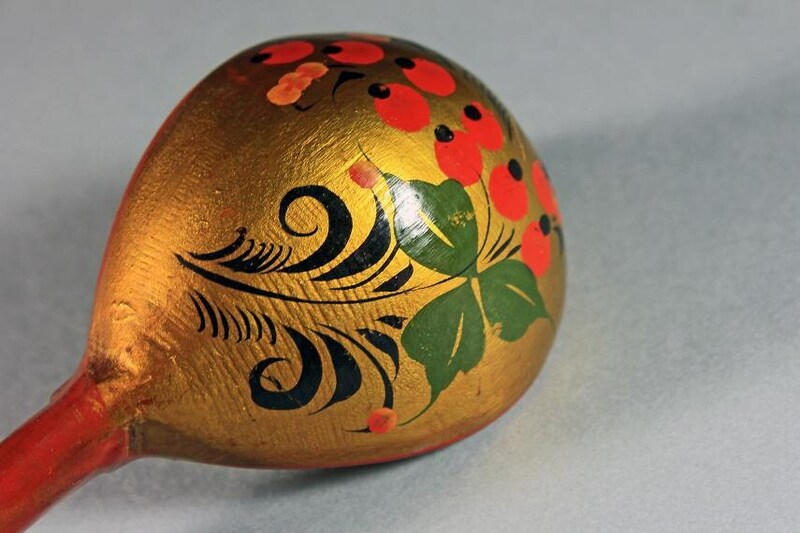 The pattern is of red berries and green leaves against a gold background. 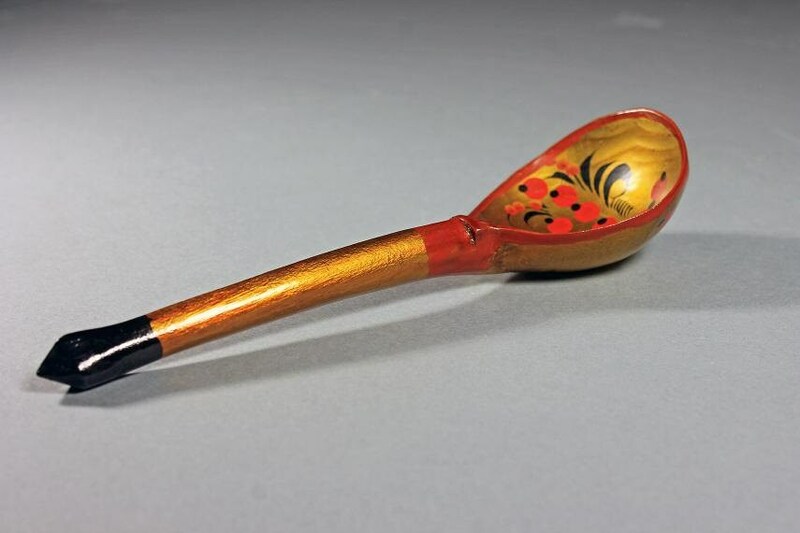 This spoon would be a great decorative addition to your kitchen. 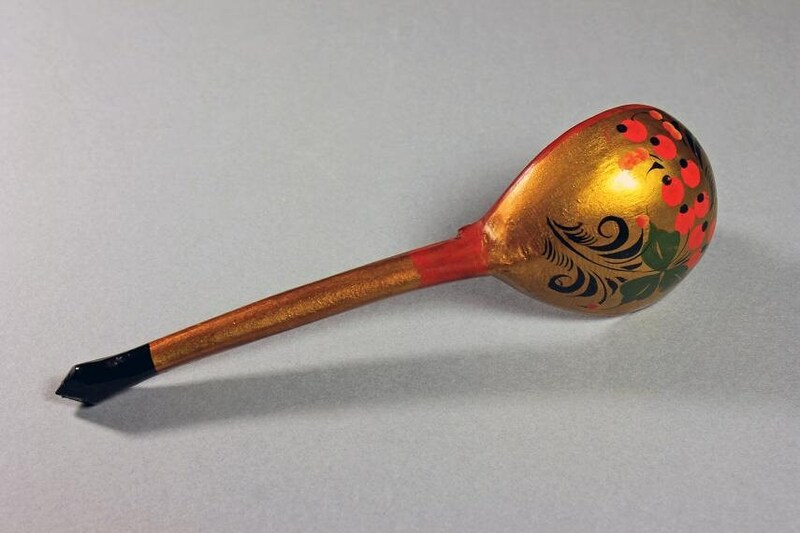 This spoon is in excellent condition. It shows very little wear from over the years. There are no chips or cracks. There is minor rubbing due to age.